Recently Lapido Media published an article of mine entitled 'Three Choices' and the bitter harvest of denial: How dissimulation about Islam is fuelling genocide in the Middle East. In it I argued that Western theological illiteracy, made worse by demonstrably false statements put out by scholars, has weakened leaders' and governments' capacity to manage the risks associated with Islamist radicalism. Because of this illiteracy Western leaders have had great difficulty grasping the implications of the global Islamic revival, especially its impact upon religious minorities. When writing about Islamic violence it is essential to emphasise, first of all, in Aleksandr Solzehnitsyn's words, that "the line separating good and evil passes not through states, nor between classes, nor between political parties either – but right through every human heart – and through all human hearts. "1 To which we must add: "nor between religions". Christians have been and continue to be guilty of human rights abuses and inhumanity to others, as have Muslims. It is not rational or evidence-based to single out one religious community as the source of all evil in the world. No religion has a monopoly on hypocrisy and evil. Religions which are based upon a canon – foundational texts – periodically go through renewals of belief and practice during which believers attempt to strip away accretions in order to bring their faith closer to what they find in these texts. This is a bit like travelers on board a ship who remember from time to time to consult their compass, after which they reset their course. When this reset happens, the influence of a religion's canon can increase, while other influences on human behavior get comparatively weaker. The complexity of the interaction of faith and action notwithstanding, we should not be surprised when revivalist Muslims seek to implement principles found in the Qur'an or Islamic legal textbooks. The most important point about Colin Chapman's response is that he did not respond. He had nothing to say to my claim that he misrepresented the function of the jizya tax paid by Christians under Islam. There remains a world of difference between paying a tax to avoid military service and handing over gold to keep one's head. The two objections Chapman does make are that he 'suspects' I have oversimplified history, and that I 'seem to believe' that everything can be explained by appealing to texts. Concerning Chapman's second objection, I do not and have never believed that everything can be explained by appealing to texts. Nevertheless that is not to say that texts are unimportant. An illustration of their importance was the announcement of the Islamic State that it was offering the Syrian Yazidis but two choices (see here and here) – conversion or death – with no option of paying jizya. This was in accordance with Sura 9:29 of the Quran, which offers the alternative of paying jizya only to the 'People of the Book', a category which IS claims the Yazidis do not fit. I do not believe that 'everything can be proven or disproven by drawing a straight line between text and action'. I do not deny that there are 'intervening and mediating socio-political, ethnic, cultural, economic, historical and existential factors' which all contribute to determining the behavior of religious people. I do not 'refuse to take such extra-textual forces into account'. John Azumah presumes that I have condemned Islam based upon Boko Haram's actions (here), and that I do this in a prejudiced, ignorant way. But he puts the cart before the horse. In reality what I have sought to do it so evaluate Boko Haram's actions against the teachings of the faith it professes. My purpose was not to condemn Islam, but to understand and explain Boko Haram. It is disappointing that Azumah makes sweeping generalizations about my views without engaging with any specifics. For example he claims that my 'attitude' to Qasim Rashid's arguments about Boko Haram was 'dismissive', but he did not find fault with the reasoning which lead me to this conclusion. In reality I treated Rashid's arguments with respect by engaging with them in serious way. This is the opposite of being dismissive. In response to Azumah's suggestion that I was 'disingenuous' – which is to say, dishonest – when I stated that IS is perfectly capable of defending its ideology, I re-assert that they are able to defend their views. Whether one thinks their Islam is valid is another matter: my point is that they have a well thought-through position which aspires to be authentically Islamic and has evidence to back it. Azumah seemed particularly trouble by my suggestion that IS claims to justify its murderous campaign as a 'jihad'. Not so, he says, because 'they have no legal leg to stand on … this is the preserve of a legitimate ruler, not a band of terrorists'. Both Azumah and Chapman take exception to my statement that 'In reality Islamic coexistence with conquered Christian populations was always regulated by the conditions of the dhimma, as defined above, under which non-Muslims have no inherent right to life, but had to purchase this right year after year.' They stress that conditions for Christians living under Islam varied in time and space, and with this I can only agree: the jizya and other dhimma regulations have not always been imposed consistently, least of all in the modern period: there have been many local variations and elaborations, and at times also omissions of application. At the heart of Azumah's objection to my article is not the fact that there are correlations between IS abuses and Islamic sources, nor even that some Western scholars have made false claims about jihad and the dhimma. The nub of the matter for Azumah is his aversion to calling Islam the problem. He is perfectly aware of the texts which are cited by Islamic radicals and does not deny their influence. However as a strategy for engagement he believes we must not problematize Islam itself "because it can go nowhere." • it would inspire more fear, hatred and violence (Azumah even refers to bombing the Ka'bah in Mecca). I take exception to Azumah's argument on two grounds. First, the argument from adverse consequences is a logical fallacy. It is an argument based on fear, not on truth. Azumah's position pre-judges the question of whether and to what extent Islam itself is responsible for the problems Muslims face. The question of whether Islam is the cause or the pretext for the Islamic State's violence is clearly a sensitive one. While acknowledging that there are complex factors which have contributed to the emergence of IS, it nevertheless remains the case that this fledgling would-be state's policies show remarkable influences from early Islamic texts. Moreover the emergence of a living, breathing implementation of ancient policies cannot be considered surprising, in the light of the teachings of the global Islamic revival, which has been building up steam for more than a century. 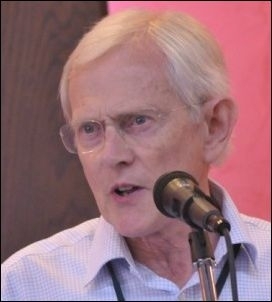 In response to Colin Chapman: history matters, and to deal with the facts of history objectively, including understanding the contribution of sacred texts, means not letting one's personal preoccupations – such as antipathy to Zionism or Western colonialism – cloud and distort one's understanding of the present.